An ongoing dispute between two Government ministers over the planned construction of almost 500 homes has raised its head again as it emerged there is still no timeline for the delivery of the homes. 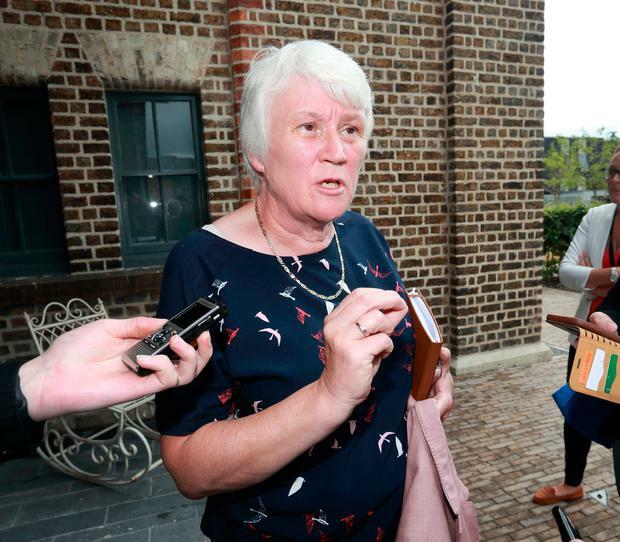 The project at St Michael’s Estate in Inchicore, which will deliver a mix of cost rental homes and social housing, has caused tensions between local TD and junior minister Catherine Byrne and Housing Minister Eoghan Murphy. In recent days Ms Byrne has been attempting to lobby local councillors behind the scenes, asking them to meet her in Leinster House, but nobody took her up on that invitation. Sinn Féin’s Chris Andrews accused the Fine Gael TD of “trying to have it every way, scaring residents for short term gain”. Ms Byrne said she raised the issue with her colleague again at the party’s think-in in Galway but welcomed news that the council will now put the plans out to public consultation. She said she was concerned about a lack of facilities for young people in the plans and about the density and mix of tenure, claiming the development was “repeating the mistakes of the past”. In a briefing to councillors yesterday Dublin City Council (DCC) said they were not in a position to give a definitive timescale on the delivery of the project. Officials also said there was no detail available on the cost rental housing model as a national scheme was still being finalised. In July, the launch of the housing project on Dublin city’s southside was the scene of tensions when Ms Byrne took to the podium unexpectedly and denounced the plan as the wrong move at the wrong time. The council, however, has moved to reassure locals that there will be a “full, comprehensive, and broad-based consultation process” on the plans which include commercial and community facilities. The project is “not just another housing estate, it is a project that can also bring significant economic and social renewal to the whole historical area of Inchicore and Kilmainham, including opportunities for the business sector in the village,” DCC said.